Hidden Valley Backhoe & Trucking, Inc. imports and exports fill dirt throughout San Diego County and parts of Riverside County. We have over three decades of experience working on demolition, remodeling, and new construction projects and thousands of satisfied clients. Among the many property owners, general contractors, and developers we've worked with over the years, we have a stellar reputation for providing quality service at a fair price. With Hidden Valley Backhoe, you can expect that every aspect of your soil import or export needs will be handled. 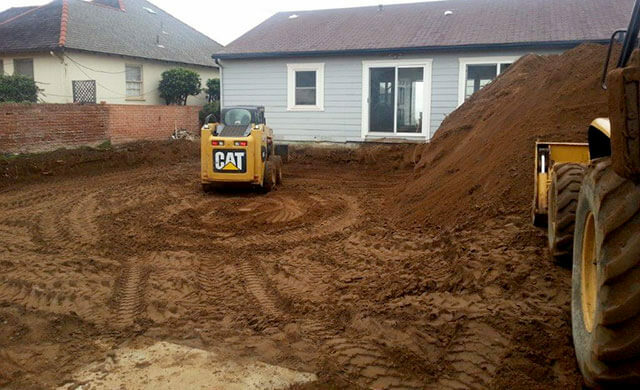 If you are removing a large amount of dirt, such as from a hillside or mountain, we can come out and haul it away. The fill dirt will be tested and then reused if it can be re-compacted or properly disposed of if it is contaminated. For those looking to increase the height of a building pad or to fill a pool, we'll truck in fill dirt, build it up, and compact it. Call us today to learn more about our fill dirt importing/exporting services in San Diego and nearby areas. Consultations and estimates are free. 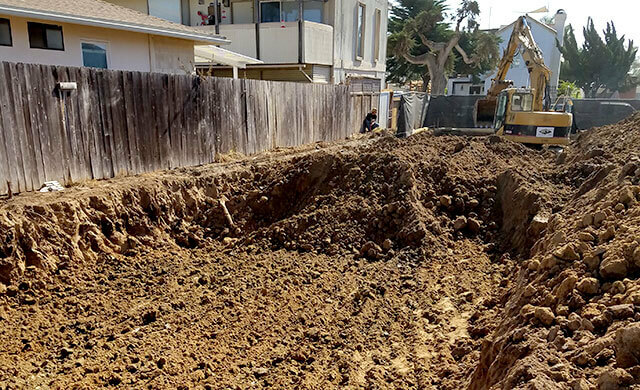 As a full-service, licensed and insured general engineering contractor, we provide demolition, grading, trenching, underground pipe/utility installation, soil compaction, excavation, land clearing, grubbing, hauling, and backhoe services. We can also provide asphalt paving and concrete work. If you are interested in multiple services, we can provide one comprehensive quote or provide a quote at each phase of the project. Often, by using one contractor rather than hiring several smaller contractors to complete a job, our clients are able to save both time and money. These guys are an excellent option for backhoe and civil work. We have used them numerous times for government and non-government work; they have provided clear pricing . . .